For more than 30 years, neuroscientists have explored the role of timing in the brain for such things as speech perception (auditory processing), speech production (intelligible articulation), language, reading, attention, memory, cognitive processing speed, decision-making, behavior (impulse-control), and motor coordination. Over the past 10-15 years, they’ve turned their focus toward studying how deficient neural communication (impaired timing in the brain) contributes to various clinical disorders like autism, ADHD, Dyslexia, and Parkinson’s. “Timing in the brain” remains a very active area of research with new studies being published regularly. Peer-reviewed research supports the view that impaired timing in the brain contributes significantly to impairments in the above named skill areas. Research also supports the opinion that timing in the brain can be trained and improved through appropriate, targeted intervention. Each study referenced below contains commentary to help elucidate the connection between timing in the brain, its central role in various human abilities and disorders, and how the Interactive Metronome may be of benefit. The studies referenced here were not conducted using the Interactive Metronome. treatment of ADHD to measure and document the effect of the treatment, which improves timing in the brain. Everyday Contexts. European Journal of Psychological Assessment, 27(2), 88-94.
specifically addressing and improving the areas of the brain responsible for mental timing. address this issue more effectively and improve the quality of life for these children and their families. families frequently report improved social interactions following IM training. the brain and thereby improving many of the time-related symptoms of ADHD. Gilden, D.L. and Marusich, L.R. (2009). Contraction of Time in Attention-Deficit Hyperactivity Disorder. ADHD that improves the brain’s critical timing skills and is tailored to each child’s specific needs. responses in ADHD: Possible oscillatory mechanisms? Neuropsychologia, 44, 412-416.
individuals with ADHD & has also been implicated in the ability to control one’s impulses and behavior. working memory, ability to tune out distractions and pay attention to what is most important). compared to other programs like phonics instruction. in Children with Specific Reading Disability With and Without Attention Deficit/Hyperactivity Disorder. University of Texas, Houston. 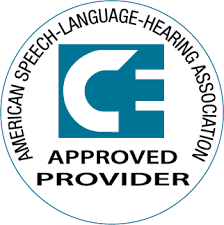 Journal of Speech, Language, and Hearing Research, 46, 31-42.
samples. Journal of Child Psychology and Psychiatry, 44(6), 888-903.
psychological science. Annual Review of Psychology, 58, 1-23.
brain, primarily addresses thinking speed and working memory, thereby improving our ability to focus and learn. skills, working memory & controlled attention. achievement. Psychology in the Schools, 44(8), 849-863.
resources so that each individual can realize his/her innate potential. in working memory. The Journal of General Psychology, 132(1), 94-112.
brain requires efficient communication to function properly. presented at 65th Annual American Physical Medicine and Rehabilitation Conference, Phoenix, AZ. success. They are the foundation for all of our skills in the areas of speech, language, thinking, and behavior. They are also dependent upon a network on brain structures that perceive and keep time to the millisecond level. Experimental Psychology: General, 133(2), 189-217.
the beat instead of on it), but soon become more in sync with the beat and with their peers. some of the smaller seashells leak out. It doesn’t matter what size bucket the person has if there are holes!! on improving the efficiency and effectiveness of the working memory bucket (i.e., plugging the hole). to collect (rather than worrying about what was lost)! This frees up the person to focus and learn. the only training program that improves timing in the brain in an organized, systematic and engaging format. depend upon our internal clock: speech, language, cognitive, motor, and social/behavioral skills. time and shifts attention. Brain and Cognition, 48, 195-211.
those resources appears to be a major factor in determining intelligence. measures of general cognitive abilities. Intelligence, 29: 293-306.
the bed. Put another one in, and one of the babies in the bed falls out. The bed can only hold “5” babies. situation (i.e., learning) or problem at hand. capacity. Journal of Experimental Psychology, 130(2), 169-183.
the child cannot keep up with the pace and/or sort it correctly)!! are so vital for auditory comprehension, reading and writing. tempo of auditory sequences. Perception & Psychophysics, 69(5), 709-718.
listening (i.e., when listening to someone speak or enjoying music). Phillips-Silver, J. and Trainor, L.J. (2007). Hearing what the body feels: Auditory encoding of rhythmic movement. studies can be found at www.interactivemetronome.com . handwriting by addressing critical timing skills with the Interactive Metronome. Evidence for synchronization of perceptual processes. Music Perception, 22(3), 531-547.
clock to the millisecond in order to more accurately perceive speech. de Cheveigne, A. (2003). Time-domain auditory processing of speech. Journal of Phonetics, 31, 547-561.
necessary for effective communication & social skills. to read case examples and additional research. are critical for development of speech & language, cognitive, social, and motor skills. Mantyla, T., Carelli, M.G., and Forman, H. (2007). Time monitoring and executive functioning in children and adults. Journal of Experimental Child Psychology, 96, 1-19. The front portion of the brain, or frontal lobes, are particularly vulnerable to damage during accidents. focus our attention and problem-solve, to sequence and coordinate motor movements, and the list goes on and on. injuries,” a problem with timing in the brain, thereby improving cognitive, behavioral, and motor skills. frontal lesions. Neuropsychologia, 44, 1195-1209.
synchronized timing in the brain and thus faster thinking or cognitive speed, better focus, and memory. attention and memory processes. Acta Neurobiologiae Experimentalis, 64, 367-385.
him, to effectively process and recall information – the one with dial-up? Or the one with high-speed cable? speed, attention, memory, learning, and motor skills like coordination and handwriting). perspective, Acta Neurobiologiae Experimentalis, 64, 319-328.
skills that depend upon timing in the brain: working memory, cognitive speed, attention, and memory. interaction of peripheral and central components in working memory. Brain and Cognition, 53, 263-267.
this link to access the list. children with this same phonological processing disorder did not go on to develop literacy problems or dyslexia. been shown to improve following IM training. processing theory. Neuropsychologia, 45, 1608-1620.
timing, or synchronization between centers of the brain responsible for cognitive and motor skills. Haslum, M.N. & Miles, T.R. (2007) Motor performance and dyslexia in a national cohort of 10-year-old children. with an emphasis on timing, they rescanned the brains and found the brain had made more normal connections. Institute of Child Health and Human Development. Back to Eurek Alert. The ability to perceive speech early in life appears to have a great impact on later ability to read and spell. lead to impaired development of reading skills. evidence for pitch discrimination deficits in dyslexic children: Improvement after intensive phonic intervention. administered and integrated with traditional remediation programs for dyslexia. dyslexia. Journal of Research in Reading, 29(3), 334-348. Edwards, V.T., Giaschi, D.E., Dougherty, R.F., Edgell, D., Bjornson, B.H., Lyons, C., and Douglas, R.M. (2004). emphasizing the “temporal processing,” or mental timing component that underlies both. dyslexia: Review of evidence for a selective visual attentional disorder. Dyslexia, 10, 339-363.
reading/academic achievement. This has also been demonstrated in clinical research. developmental dyslexia: A discussion. Journal of Developmental and Physical Disabilities, 12(2), 145-156.
with age in developmental dyslexia. Neuroscience Letters, 336, 151-154.
broad impact on individuals with dyslexia, impacting audiotactile, visuotactile, and audiovisual modalities. Metronome 4 out of 5 critical pre-reading skills improve, including phonological awareness. dyslexic young adults. Brain and Language, 80, 340-354.
dyslexia: Effect of phoneme lengthening on order judgment of two consonants. Brain and Language, 80, 576-591.
reading in children with developmental dyslexia. Society of Biological Psychiatry, 52, 101-110.
timing) in attention, specifically for executive-controlled attention or the ability to self-direct attention. progressive exercises that are motivating and engaging and real-time millisecond feedback for timing. program and is the only treatment that effectively addresses the underlying problem with timing in the brain. training is available in both clinic and virtual (home) settings. Farmer, M.E. & Klein, R.M. (1995). The evidence for a temporal processing deficit linked to dyslexia: A review. Psychonomic Bulletin & Review, 2(4), 460-493.
publication] raise some interesting and provocative points about the temporal processing deficit hypothesis. other developmental and acquired disorders. Klein, R.M. & Farmer, M.E. (1995). Dyslexia and a temporal processing deficit: A reply to the commentaries. Psychonomic Bulletin & Review, 2(4), 515-526.
time, reporting data from each case separately. What do you think? Martin, R.C. (1995). Heterogeneity of deficits in developmental dyslexia and implications for methodology. Psychonomic Bulletin & Review, 2(4), 494-500.
tasks, memory, speech/language, and coordination. communication within the brain is required for optimal cognitive performance in school, at work, and at play. improved memory (especially short-term), and better motor coordination. the brain that communicate with those involved in working memory. Maytyla, T., Carelli, M.G., and Forman, H. (2007). Time monitoring and executive functioning in children and adults. facilitating more efficient and effective use of working memory. comprehensive treatment program for these conditions. perspective. Acta Neurobiologiae Experimentalis, 64, 319-328.
an important precursor to working memory function. this is how we advance knowledge. reading span? Brain and Cognition, 45, 1-14.
of psychometric intelligence. Journal of Personality, 75(5), 985-1006.
oscillations that are so critical for thinking and language. Mind. Hove, UK: Psychological Press. timed communication in the brain across areas critical for speech, language, thinking, and motor skills. improve significantly resulting in many cognitive and motor improvements. predictors of general intelligence. Canadian Journal of Experimental Psychology, 60(4), 294-306.
synchronicity of neural oscillations), thus improving the ability to process, store, and retrieve information. tuning-in of brain networks. Learning and Individual Differences, 16, 217-233.
that optimal performance can be achieved, whether at home, work, or school. Journal of General Psychology, 132(1), 5-40.
attributed to its effect on these critical skills: attention, processing speed, and working memory. information processing and working memory. Intelligence, 33, 5-26.
in a synchronous, repetitive manner to remember this, attend to that, forget about this, don’t worry about that. remember, follow directions, and process information and respond more timely. intelligence. Trends in Cognitive Sciences, 7(12), 547-552.
performance, whether for school, work, or personal achievement, one MUST work on strengthening working memory. or stop traffic at different places and times in a precisely timed way to avoid collisions or derailings. depend upon precise, synchronized timing in the brain. neuroimaging evidence on the neural bases of mental time travel. Brain and Cognition, 66, 202-212.
memory is functioning efficiently, the brain doesn’t have to devote so much of its resources to making it work. surprising, they also found that those with greater working memory capacity were also better multi-taskers. dichotic listening. Bulletin & Review, 14(4), 699-703.
technology that measures and improves temporal processing, shows that timing in the brain improves as we age. lagging (i.e., intensive reading instruction). behavioral study and a model. Journal of Experimental Child Psychology, 97(4), 246-264.
analysis. Acta Psychologica, 126(1), 18-33.
different tasks: 1) producing an amount of time when told to, 2) copying an amount of time after being shown. information about the problem to be solved and helped to serve in the capacity of a visual-spatial sketchpad. timing of neural oscillations or transmissions (or what is commonly referred to as temporal processing). fun, yet challenging while they engage the whole mind and body. working memory task is information-type dependent. Cerebral Cortex, 16, 609-617. Metronome for reading achievement, relieving symptoms of ADHD, or some other application. memory span tasks: A methodological review and user’s guide. Bulletin & Review, 12(5), 769-786.
differences in working memory. The Journal of General Psychology, 132(1), 94-112.
attentional control system and working memory and how they influence how we think and perform cognitive tasks. interpersonally). The neural basis for each of these skills is “temporal processing,” or timing in the brain. dual-process theories of the mind. Psychological Bulletin, 130(4), 553-573.
memory, improving the ability to process, store, and retrieve information more accurately. their service to our country and wish them all the best in their recovery!! (2002) puts forth yet another theory. Have you read the literature on mental timing theory? What do you think? self-feeding or self-care, or simulating sports or incorporating play). Rosenbaum, D.A. (2002). Time, space, and short-term memory. Brain and Cognition, 48, 52-65. climbing….) Fortunately, timing in the brain is a skill that can be shaped and improved with specific training. judgment, and increased fall risk. These statements were made by Lewis & Walsh (2005), prominent neuroscientists who study timing in the brain. ability that impact achievement and independence but also the heart of the problem, that of deficient timing. This can only lead to more efficient treatment and better overall outcome. reading comprehension, remembering information, processing speech and motor coordination (millisecond timing). heart of virtually all we do. that form the basis for speech, language, thinking, behavior, and coordinated movement. Nobre, A.C. & O’Reilly, J. (2004). Time is of the essence. Trends in Cognitive Sciences, 8(9), 387-389.
understand why we typically see improvement in BOTH cognitive and motor skills once timing skills are improved. conditions, is the only program that addresses both of these skills simultaneously. Here is another favorite of mine when it comes to papers describing the human clock system, How Do We Tell Time? whether we have a distributed network of clocks or whether there is one central clock that does it all. All??? Rehabilitation, Physical Therapy, Occupational Therapy, Psychology Services, etc). Buonomano, D.V. & Karmarker, U.R. (2002). How do we tell time? Neuroscientist, 8(42), 42-51.
alongside other functional interventions to build and strengthen abilities. Lewis, P.A. (2002). Finding the timer. Trends in Cognitive Sciences, 6(5), 195-196.
memory, reading, and motor skills occurs as a result of improved mental timing skills. Rao, S.M., Mayer, A.R., and Harrington, D.L. (2001). The evolution of brain activation during temporal processing. Bengtsson, S.L., Ullen, F., Ehrsson, H.H., Hashimoto, T., Kito, T., Naito, E., Forssberg, H., and Sadato, N. (2009). Listening to rhythms activates motor and premotor cortices. Cortex, 45, 62-71.
information about timing from the environment (or context) influences internal timing for coordinated movement. mental/interval timing is provided following each movement to help refine timing skills and coordination. investigation of context effects on sensorimotor timing and coordination. Neuropsychologia, 45, 673-684. & rhythm are essential to movement. rhythmic sound activates the centers of the brain involved in coordinated motor planning and sequencing. Interlimb Coordination: A Multidisciplinary Approach (Chapter 9). New York: Springer Publishing. synchronization of movement with auditory rhythm (and of course, feedback for timing!). paced finger tapping. Neuropsychologia, 42(10), 1301-1312.
to developmental disorder, trauma, or illness resulting in uncoordinated movement and/or cognitive impairment. the brain, that is critical for movement and thinking. continuous movements by cerebellar lesions. Science, 300(5624), 1437-1442.
example I gave earlier, the decision would be about what is heard …did he say “burst” or “birth?”). Wearden, J.H. (2008). Slowing down an internal clock: Implications for accounts of performance on four timing tasks. The Quarterly Journal of Experimental Psychology, 61(2), 263-274.
also very interested in seeing if they can manipulate the brain’s clock by speeding it up or slowing it down. subjective duration. The Quarterly Journal of Experimental Psychology, 55B(3), 193-211.
patented brain training program that provides the right combination to increase mental speed and fitness. Penton-Voak, I.S., Edwards, H., Percival, A., and Wearden, J.H. (1996). Speeding up and internal clock in humans? Effects of click trains on subjective duration. Journal of Experimental Psychology, 22(3), 307-320. Download a full list of IM Research References. Beef up your resume by learning how to use this cutting edge technology. The most engaging CE event you will ever attend! Discover the scientific evidence behind IM & learn hands-on practical applications for addressing critical brain timing skills in order to improve outcomes in the areas of cognitive, communicative, motor, sensory, and academic performance in conditions like ADHD, Autism, Dyslexia, Stroke, and TBI. Join the 30,000+ Professionals who are IM Certified! Register for this engaging 1 day CE approved course…. Certification: Interactive Metronome for Pediatrics & Adults This is not your everyday boring classroom certification class. You won't be just sitting at a seat listening to a lecture. At an IM Certification Course you will get to participate in a highly hands-on class. Plus, you will get to experience our famous Group and Lab work part of the course. *PTs & PTAs: Approved for year 2016 in AK (0.8 CEUs), AL (no approval required; 0.8 CEUs), AR (0.8 CEUs), CO (no approval required; 0.8 CEUs), FL (8.0 CEH), IL (0.8 CEUs), KS (0.75 CEUs), MD (0.8 CEUs), PA (0.8 CEUs), TN (0.8 CEUs), TX (8 CCUs), VA (0.8 CEUs), WI (0.8 CEUs), WV (0.8 CEUs). *Others may submit paperwork to your state board for CEUs. Check your state for eligibility. Approval of this course does not imply that any of the PT Boards listed here support the views of the presenter or sponsor. Course Cost Only $149! *Please note, because of our reduced prices we no longer offer an early bird discount.